Right before winter break, I got word that our school district, Charlotte Mecklenburg Schools, was phasing out the special education classes at Randolph Middle School, Ben's middle school (grades 6, 7 and 8). Phasing out means that rising 6th graders would not have the opportunity to attend Ben's school next year. As the current students in the special education classes transition to high school, the program would be closed. Unfortunately, the school district made these changes without talking to the parents whose children are in the program or those who may have been interested in the school's program for next year. It does not appear that anyone at the school was consulted. The decision was made for next year without consulting those who would be affected. Within the past week, we have received tremendous support from many different groups of people - parents of regular education students, parents of special education students, teachers, administration and school board members. Some are writing letters, signing petitions and others are lobbying where they can. My name is Lucy Cochran and I am writing to you regarding the fact that I heard you are planning to end the SAC (special academic curriculum) program at Randolph. I know there are probably many reasons why you feel you need to but if you could please read this letter maybe I can convince you to change your mind. I am a junior at Myers Park High School and I am in the IB (International Baccalaureate) program there. I attended Randolph Middle School for 6-8 grade and enjoyed it greatly. It was there where I was first introduced to working with kids with special needs and that love of working with them has never stopped. The main reason I am writing this though is because of how much this program has affected my life, even into high school. For my personal project my sophomore year at Myers Park, I wanted to do something combining my love of sports with working with kids with special needs. After some research I decided to start a unity type program at Randolph. I contacted Ms. Glass (special education teacher) who was more than willing to help and we were able to quickly organize two practices and a game with her classes and some of my friends offering to play too. This project was such a success that it has branched into a group of my friends and I going back every month to play with them. Now while this program might seem like a small thing that only affects us once a month it most definitely isn’t. I will first show how it affects the group of people I bring that do not have special needs. We were all friends of some sort at Randolph but now I only have classes with a few of them and we aren’t all very close. But every month when I send out the text asking who can come to Randolph we all clear our schedules in order to come and get increasingly happy and excited as it gets closer to the day. This project has brought us all a lot closer and allows us to have a common thing to talk about even if the rest of our lives go in completely different directions. This project also affects the kids in the SAC program at Randolph just as much if not more. Ms. Glass tells us that they are always asking for us to come and that when they know we are coming that day they get very impatient waiting. It has brought the class even closer together, although just by looking at them you can tell they already get along really well. We start by running a few drills and then scrimmage which makes them to work together and pass in order to get around us volunteers. As the practices went on there was significant progress in how they worked together and cheered each other on. You can tell that they really need the support from each other and the SAC program helps them to make lasting relationships that should not be taken away. And this classroom environment led by Ms. Glass and Ms. McQuillan (special education teachers) provides just that to these students. They are all comfortable and trust each other and by taking away the program you would be separating one of the greatest support systems that they have. In taking that classroom environment away you would be separating a class of students that are much closer than any class I have ever been in. You would be taking them away from teachers that they clearly love. You would be taking them away from a great PE program that supports them and integrates them in with other students. And finally you would be removing an important asset of the school. In doing my personal project I also did research in how special needs kids impact kids without special needs. My findings showed that by allowing interaction between the two groups, they both grow up to be more accepting of different cultures and beliefs. The first way this is evident is in that many of us that go back to play soccer with the kids also went to gym with them in 8th grade, this participation in middle school led us to led us to be more accepting of all people throughout our lives to this day and I’m sure it will continue into the future. Also many of us are introverted people but when we are around them we are confident and are totally comfortable in who we are which is something I know that I am not always. 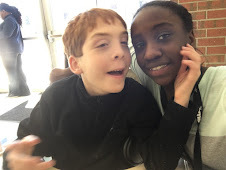 Another way the SAC program is important in promoting acceptance is that my 6th grade brother goes to Randolph and in one of the first weeks of school he was able to talk to some of Ms. Glass’s class at recess and he came home talking only about that and no other part of school. He greatly enjoyed it and although he has not had the opportunity to hang out with them again he is still excited to, and asks about them whenever I go and play soccer with them. He also is a lot more accepting of people out in the community and is always willing to put himself out there for people with special needs. In taking this program away you would be harming not only the safe and accepting environment that the teachers at Randolph have created, but also a valuable resource in making a large group of your students more accepting and better people in the community. My final reason is a bit more selfish. These kids have made a huge impact on my life and I wish that I could hang out with them all the time. If you were to remove this program I would not be able to see them as often as I do and possibly even never. I know that last year some of the students graduated from Randolph and went on to East Meck and I miss them all the time, and so losing all of the students would crush me. One specific student I spend 7 weeks of the summer with at various camps and he goes to Randolph. This is my one opportunity to see him and I am as close to him as my three siblings. One month he wasn’t there and I was devastated and his teachers said so was he. Everyone who interacts with these kids has the one student that they create a tight bond with-maybe not that tight-but enough that we often talk about them and it makes us all happier. I am sure that we are not the only ones who have made such a close bond with the students, and taking away this program would cause a huge group of people to be extremely disappointed. My life so far has been very blessed, I am on track to row for college possibly on scholarship, I did well on my SAT and ACT, and my grades have been straight A’s. But these kids do not have it this easy, the world is out to challenge them. In taking away this safe-haven where these kids feel comfortable with each other and their teachers and can receive a great education, you are taking away one of the largest constants in their life that they have come to trust and rely on. Not everyone has it easy in this world and it is our responsibility to help these kids out. I know that funding can be an issue, or having the right amount of students but I know myself and many of the people that have been affected by this class would be more than willing to do anything you need in order to keep this program intact. If you have any questions my contact information is at the bottom. Thank you so much for your time in reading this letter, I hope it will lead you to reconsider your decision. * I reprinted this with Lucy and her parent's permission. The letter was edited for length. 2. Share this post on social media. 3. Email this post to friends who may have a vested interest in this cause. 5. Attend the CMS School Board Meeting on January 10, 2017 at 6 p.m. at the Government Center, 600 East Fourth Street. Bring posters. My husband, Ryan, and I met in college in 1991, although we did not date until a few years later. 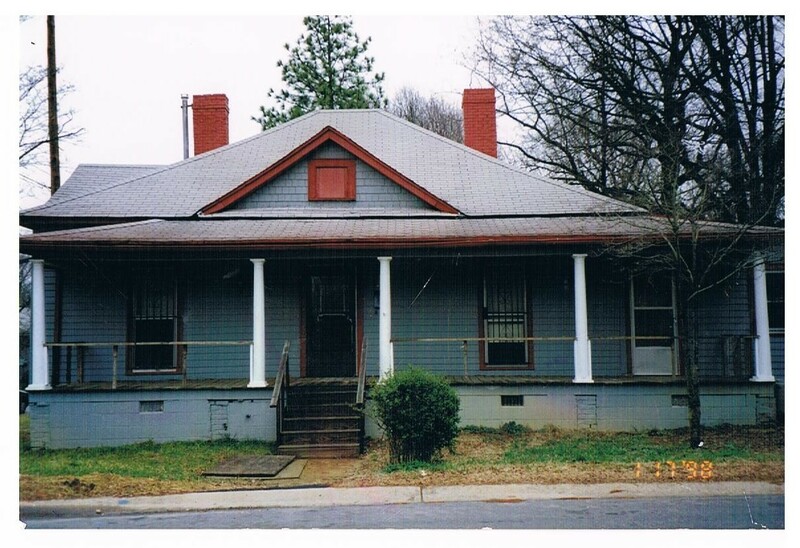 Our first years of marriage were spent renovating an 80 year old home in a precarious "arts district". 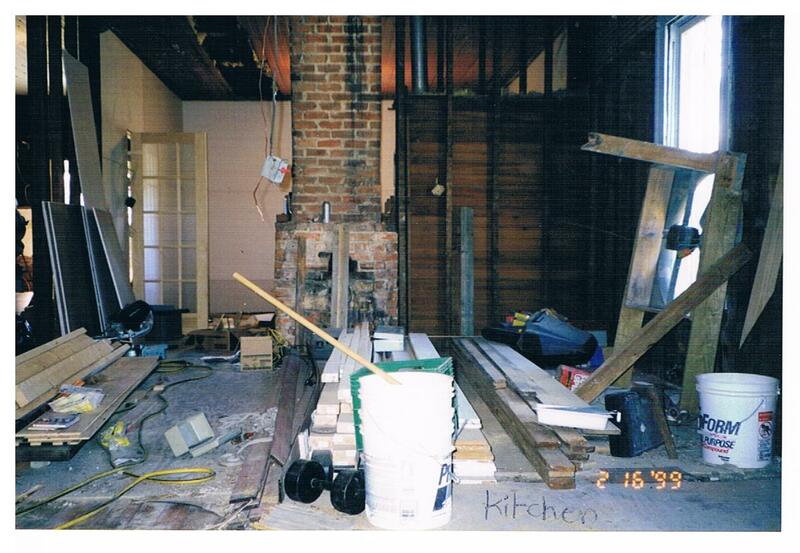 And when I say renovate, I mean we did all the work and lived in two rooms in the house for five years. We both had full-time jobs too. 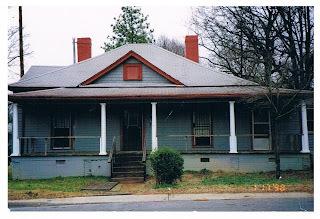 We had no kitchen or central heat or air conditioning for at least two years. To say the stress of it all was horrendous is not giving you an accurate description. 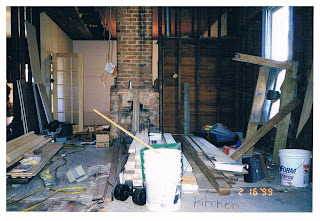 There were some good times, but it was difficult for me to live in carpentry filth, disorganized mess with uncompleted projects for that long. It took counseling to get us through it all. 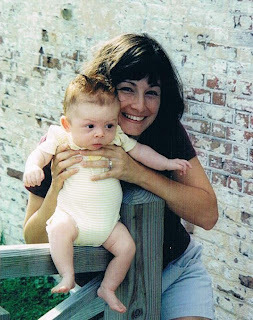 Although I would never put myself in that same position again, renovating the house ourselves allowed me to stay home with our children...which in so many ways turned out to be what we dearly needed when Ben arrived. 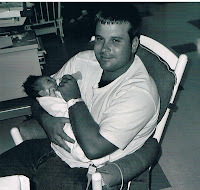 Ryan and I were married 5 years when I gave birth to Ben in July of 2003. My pregnancy was normal. It had taken us a few years and some fertility drugs to conceive so I was very happy to be pregnant. I enjoyed most moments of it. I signed us up for every class the hospital offered - from diapering to massaging to Daddy Boot Camp. Ryan willingly participated in my every baby whim. On the evening of July 29, my water broke. We headed to the hospital, got settled in and everything went fine. I think my father-in-law even visited us during labor - I must have been calm to have visitors. As the night progressed, the nurse came in several times to tell me that I needed to change my position because the baby's heart rate was decreasing. She gave me an oxygen mask to wear and the heart rate appeared normal again. I feel pain really well. So I am not opposed to any drugs that will help that pain diminish. When the anesthesiologist, whom Ryan called Doogie, gave me the epidural, it did not go great. He yelled at me because I moved and for some reason the pain never really went away. [As an aside, I finally had a great epidural with my third son, so I know what they should feel like.] They gave me lots of drugs to help. I slept for many hours and awoke around 7am - or rather was awoken by this very tough nurse. When I was finally at the last stage of labor, all was going well. They had to give me a quick lesson on the right pushing position because although I had attended every birthing class, I closed my eyes when they showed the videos of women giving birth. I should mention that I am extremely squeamish. Any sight of blood or just talking about blood or procedures involving blood can make me ill to my stomach. The rest of this has been told to me by Ryan, because although I was there, I did not see what happened. Ben's head came out with the cord wrapped around his neck. When the doctor tried to loosen it, the cord broke. As soon as the rest of Ben was delivered, they whisked him away. I had asked for a clean baby to hold - remember no blood. They gave him to me - and me being the person I am, I did not notice that Ben's head was about three times the size it should have been. They had all commented at the birth about his hair - all the red hair. So I just assumed, under that little pink and blue cap was a lot of hair. Hey - I was drugged up and I was in love. So in love with this precious little guy for whom I had waited so long. At this point, Ryan and the doctor had given each other some looks because of the size of Ben's head. Nothing was mentioned to me. Ben was brought to the regular nursery. Fairly quickly, the nurses were concerned for Ben's head size and did not feel comfortable keeping him. He was brought to the Neonatal Intensive Care Unit. When I am told, I lose it. I am unable to be consoled and unable to go see him. Ryan, and this is where Ryan becomes the amazing father that he is today, spends all his time in the NIC unit feeding Ben and caring for him. He was smitten. Ryan brought me reports on how well Ben was doing. When my mom arrived, I visited our little baby. I had a hard time holding myself together. After 24 hours, Ben was returned to the regular nursery. The swelling of his head was called molding - from being in the birth canal for so long. He was given a clean bill of health and we took it, no questions asked. Did I mention that Ben did not have a name yet? We did not know ahead of time if we were having a boy or girl so we had lists of names for both. Ben's full name is Bennett Ryan - which the "Ryan" part came to me in the hospital. The "Bennett" is my maternal great-grandmother's maiden name. Ben could have been a Henry, Jeremy or Joshua, but he really looked like a Bennett to me. The woman running the birth certificate office called every hour to get his name from us. It took us three days to decide, but it was worth the wait to get it just right. We took Ben home and all was well. Since our renovation was as complete as it was going to get for the time being, we took advantage of everything we had missed out on for all those years of construction. Ben went to a baseball game within his first 10 days of life, and within the first few months, he had traveled to county carnivals, festivals and the beach. Ben was a good eater and had a good disposition. He had terrible nasal problems that may have made it difficult for him to sleep well at night. Ryan was adept at using the blue bulb to clear his nose. He was a good size baby with lots of beautiful red hair. We were first time parents and had no one to compare Ben to. If we had one of our other children first, we would have known something was not right. We were in love with this baby. Our love was blind to those milestones Ben should have been meeting. At the pediatrician's office, if our doctor said anything, I did not hear it. I now know that we had many more visits than I had with my other two boys. I think the doctor was seeing if things changed over the first few months. About a year later, I reviewed Ben's medical notes from that period of time and the doctor did mention Ben's low muscle tone. And looking back, my mom may have asked some questions about Ben's development. Ryan's dad and grandmother may have made a few comments too. Again, we were so focused on our love that we did not hear anything anyone said. But we both must have been processing information subconsciously, because when we did acknowledge something was wrong, we arrived at this realization at the same time. When Ben was six months old, Ryan and I were eating dinner together. Ben was sitting in his high chair. For some reason, Ryan asked me if I ever thought Ben was special. And I said yes. The next day I saw the pediatrician, not Ben's regular doctor, but another one in the practice. After her assessment and review of the notes, she directed us to a neurologist. I will always remember this doctor because I broke down in the little room. She comforted me saying she was a mom and understood how I felt. That day started our journey into a new world, so different than what we had expected. Would I do it over if I had to? Unequivocally yes. And I cannot say that about renovating a house. Today marks an exciting milestone for people with disabilities, their families and advocates. ABLEnow is open for nationwide enrollment at able-now.com. The ABLEnow program opens today on the two-year anniversary of the federal Stephen Beck, Jr. Achieving a Better Life Experience (ABLE) Act being signed into law, authorizing states to establish ABLE savings programs. ABLEnow provides people with disabilities the opportunity to save money for today’s needs or invest for tomorrow. These simple, affordable and tax-advantaged accounts allow eligible individuals to save up to $14,000 a year without endangering eligibility for certain means-tested benefit programs such as Medicaid and Supplemental Security Income (SSI). The ABLEnow program offers some of the lowest fees in the country, an online portal to manage your account and the ABLEnow Card—a debit card providing a simple, fast way to pay for qualified disability expenses. Eligible individuals can start their ABLEnow account with no enrollment fee and no minimum contribution. Visit able-now.com to learn more and open your account today. and Happy Holidays from our family!